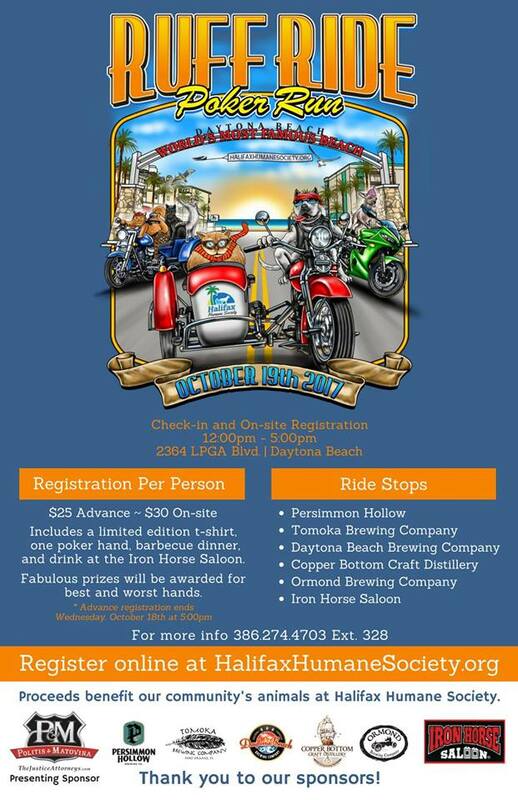 The Iron Horse Saloon is proud to be a Ride Stop on this year’s Ruff Ride Poker Run October 19, 2017 in Daytona. The event benefits the Halifax Humane Society. Registration is $25 in advance and $30 per person on-site. Includes limited edition t-shirt, one poker hand, barbecue dinner and drink at the Iron Horse Saloon. Fabulous prizes will be awarded for best and worst hands.